DMG Autocare Ltd - Garage/Vehicle Services based in South Croydon, Surrey. DMG Autocare Ltd is a family run business with over 11 years experience in the motor trade. With our highly skilled and professional mechanics we offer a wide range of services right to you at home or at work at your convenience. We offer servicing based on individual vehicle needs and can tailor these around you. We can carry out diagnostic checks and/or repairs on any make and model. With full BMW/MINI diagnostic equipment we specialise in all repairs on any BMW and MINI, including programming. 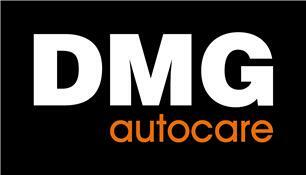 DMG Autocare Ltd is based in Selsdon and covers the South London and Kent areas. Our mechanics are friendly and courteous and will always carry out any work to the highest standard. At DMG Autocare Ltd we believe in keeping our customers happy by providing them with an efficient and reliable service at a very competitive price.We are fully mobile which means we can come to your home or work at your convenience. I have been in the motor trade for over 11 years, working and training with brands such as Nissan and BMW, I am fully ATA Accredited and have a wide knowledge on the majority of makes and models.